David Bloom is a veteran of eleven startups, an advisor or director with four emerging companies, and a mentor for scores of entrepreneurial ventures in Life Science/Medical Devices, Mobile/SaaS Applications, and Big Data/Analytics. David leads startups in Business Canvas and Customer Development, Translational Research/Commercialization, Revenue Generation, and Networking. He serves as coach and connector for Factotem's portfolio of companies, and as executive director in economic development and entrepreneurial education programs. In 1995, David founded the Factotem Constellation, a global team of senior business formation and development professionals who provide hands-on engineering, marketing, and analyst/diligence services to entrepreneurs and investors. 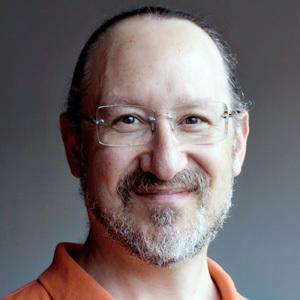 Prior to Factotem, David worked as a product developer, project manager, magazine writer, and editor. David is a founding director of the a2geeks educational foundation, an organizer of the a2newtech meetup and Ann Arbor Ignite, and he chaired the Marketing Roundtable from 2011 to 2013. He serves as a commercialization expert for the National Science Foundation, a judge for the American Technology Awards, and he reviews startups for the NYU New Venture Competition and the China Business Challenge. David holds a BSE in Electrical Engineering, and an MSE in Industrial & Operations Engineering, both from the University of Michigan, where he teaches Financing Technology Commercialization at the Ross School of Business, and Interpersonal Entrepreneurship at InnovateBlue.